A strong outlook for crude prices may also stop the Reserve Bank of India on its tracks from cutting interest rates aggressively, as a spike in oil price has the potential to swell the inflation number quickly. Jim Rogers says the outlook for the black gold has turned healthy in the wake of the Opec production cut as it will reduce supplies after lower exploration activity in the past few months. Crude prices soared nearly 10 per cent on Wednesday following a deal among the Opec members to cut output by around 1.2 million barrels a day (bpd), or over 3 per cent, to 32.5 million bpd from January. Rogers said Iran's nod to production cut was a surprise, as it had been opposing such a deal quite a lot. "Let us see if they actually do it. We all know that Iran needs money. What they are going to figure out is whether less supply and higher prices are better for them or vice versa. I am sceptical, I have heard this many times," Rogers said. He, however, said the fundamentals are improving for the crude oil market. He noted that the supply is going down, exploration activity is falling and reserves worldwide are already declining. "Nobody in the world has higher reserves now than they had three years ago, except may be the frackers. The frackers cannot make money at these prices," Rogers said. Rogers, who calls himself as a terrible trader market timer, said crude oil prices were making an attempt to hit a complicated bottom for two or three years. "Crude prices fluctuate up and down. They have ranged between $40 and $30 and that will probably continue for a while, more likely towards the upside than the downside. Yes, $60 a barrel is not an unusual number. It is still way down from where crude prices were just two years ago," Rogers said. "One should own energy, as the energy reserves continue to decline worldwide. Saudi Arabia has not had a major find in many years, nobody has. Iraq, Nigeria and Iran nobody has found oil, except frackers. The fundamentals of oil continue to improve," he pointed out. After demonetisation and Fed rate hike fears, brace for a crude shock now. Crude oil prices breached the $50 a barrel level on Wednesday following the Opec deal to cap production from January. And now, commodity guru Jim Rogers says crude oil prices could soon head towards $60 a barrel level. Remember, India's oil import bill for this financial year has been pegged at $66 billion at an average import price of $48 A barrel. India, which depends on imports to meet 80 per cent of its oil needs, will have to spend Rs 9,126 crore ($1.36 billion) more a year for every one dollar a barrel increase in crude oil. India spent $63.96 billion on crude oil import in 2015-16, about half of the $112.7 billion outgo in the previous financial year and $143 billion in 2013-14. On Thursday, crude prices were trading at a six-week high of $51.13 a barrel level, up 1.4 per cent over its previous close. Fund managers and strategists on Dalal Street say should oil prices rise beyond $55-60 a barrel, it could pose a risk to India's economic growth estimates as well. "An increase in crude oil prices could be a double-edged sword for emerging market equities, which are under pressure due to weak growth and lower fund flows from sovereign wealth funds. We expect pressure on (India's) fiscal as well as inflation if crude crosses $55-60 a barrel level," Manishi Raychaudhuri, Asia Pacific Equity Strategist, BNP Paribas, had said earlier this year. Forget last week's sell-off in gold. 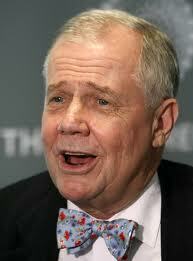 Jim Rogers says it's going higher. How high? "If the U.S. dollar becomes confetti, any number you want to make up. They're printing U.S. dollars fast enough to turn them into confetti. Who knows how high gold will go as long as we have a mad man running the central bank," says Rogers. 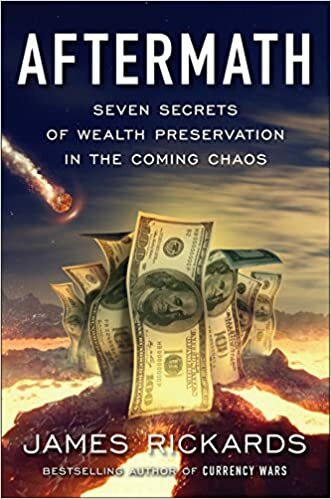 Join Greg Hunter of USAWatchdog.com as he goes One-on-One with legendary investor Jim Rogers. Investor Jim Rogers says there are "serious problems facing the UK" and that the pound's value will "certainly go under one dollar" if Scotland leaves the UK. He told the BBC's Mark Mardell, "You've got a lot of debt, you've got a serious balance of trade problem which shows no signs of being corrected. I don't see anything to make sterling go up." Jim Rogers sits down to talk about economic and geopolitical events that unfolding around the world. This comes at a time when the greed and fear index is hitting all time highs. What does the future hold? Jim Rogers is nothing if not a contrarian, and one of his boldest moves is trying to bet on North Korea. 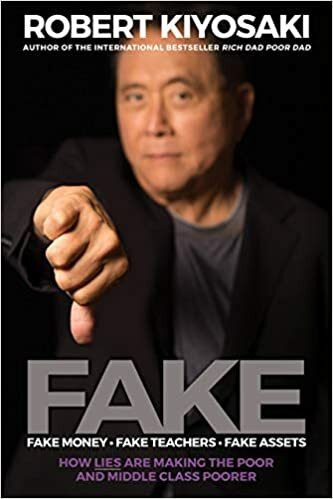 The famous investor, who cofounded legendary hedge fund Quantum with George Soros, spoke to Real Vision TV and said North Korea is where China was in 1981. "If we all bought North Korean currency, we'd all be rich someday," Rogers said. In short, Rogers is seeing the controversial country open up, which he says makes it a good bet. "Well, North Korea today is where China was in 1981. Deng Xiaoping started opening up in '78. 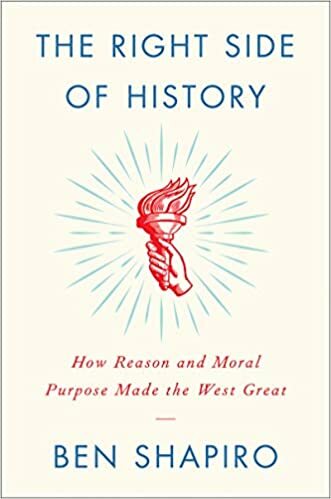 Most of us, including me, either weren't aware of it or if we were aware of it. We ignored it, didn't pay any attention. North Korea is doing that now. "There are 15 free trade zones there now. You can take bicycle tours of North Korea, if you want. You can take movie tours. I'm sure if [Kim Jong Un's] father were alive, he'd hang him. If his grandfather were alive, he'd torture him and then hang him, you know, for some of the things he's doing. I mean, you go to North Korea now, you see these astonishing restaurants with white tablecloths, cutlery, candles. I mean, this is North Korea we're talking about. Chefs. It's happening." Rogers noted that Chinese and Russian investors are pouring in to the country and said that he almost became an investor in a Chinese group that had a bank in North Korea. He added that his lawyer told him he couldn't invest. Rogers is a pretty colorful guy and is known for his bold bets. He also has investments in Zimbabwe and has been looking at investing in Kazakhstan and Rwanda. That said, he isn't the only one looking at North Korea. North Korea has been pushing to attract foreign investment, even posting videos on its "unique economic zones" on YouTube. And earlier this year, The New York Times published a profile on James Passin, a hedge fund manager at Firebird Management, who is trying to bet on the country. Still, there is growing tension between the Hermit Kingdom and the rest of the world. The country has been launching ballistic missiles, with Kim Jong Un reportedly hosting a party to celebrate the most recent test. That is making life harder for those who are invested in the country. Earlier this month,Reuters reported that the only law firm in North Korea set up by a foreigner, Hay, Kalb & Associates, will suspend operations. Famed commodities investor Jim Rogers thinks the market is in the process of detecting the next big crisis, and is still “frightened” by Russia. “My first successful investment in Russia this year was shorting the ruble, but now I’m looking at finance, ruble bonds, opportunities in inbound tourism are all of interest because they can provide a higher return,” he said in an interview with business daily Kommersant published on Thursday. “Frankly, investors are still frightened about the prospect of investing in Russian securities,” he said. Rogers called the Russian market one of the most perennially undervalued in the world. He said that oil prices will recover soon, but not by much as the global economy might suffer new shocks. One is the Federal Reserve raising interest rates in the U.S. and the other is the possible election of Donald Trump. For Rogers, a Trump presidency would make markets most skittish because of his stance on trade. Trump has said he would retool the North American Free Trade Agreement, pan the Trans-Pacific Partnership Agreement, and is more pen to trade tariffs on Chinese imports in an effort to maintain manufacturing jobs in the U.S.
Rogers told the daily that a new crisis is likely within the next two years. It will come from an unsuspecting country first, like Iceland in 2007, a year before the Lehman Brothers blow-out in the fall of 2008. Higher interest rates in the U.S. could lead to similar moves in Europe, which are currently dealing with the unheard of trend of negative interest rates, particularly in northern European countries. Jim Rogers Central Banks have Lost Control of Markets, 2016 Will Not be Good! Chris welcomes back Jim Rogers from his Singapore office - he notes twice as many US stocks were down in 2015 as up, a bearish market breadth indication. The primary reason why the equities indexes remain aloft is the enormous debt burden added to the balance sheets of the Fed, since 2008. But unlike 2008, 2000, 1987 and even 1929, the US is now the largest debtor nation in the world, putting the country at elevated risk of default. This anomaly presents the most precarious economic quagmire in national history. He's currently long the US dollar (from much lower levels), the Yuan, Chinese stocks, short US shares, long agricultural futures and holding on tightly to gold / silver. Poised like a praying mantis, the ever vigilant investor is anticipating the right opportunity to increase his gold / silver exposure. With an established knack for identifying profit opportunities outside the scope of the mainstream media he recently developed a penchant for undervalued Russian bonds and rubles. Unlike the West, Russia is not a debtor nation but a creditor, for instance, Cuba owes Russia $25 billion as of 2013 figures.